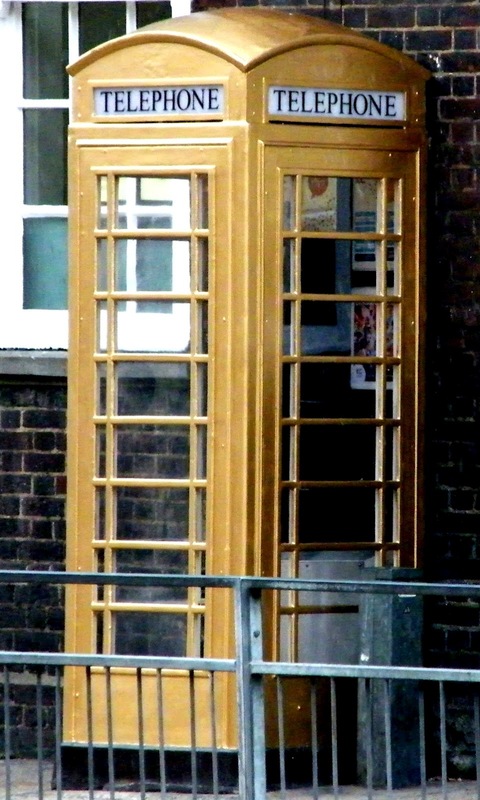 The gold phone box? Not been touched by some latter day Midas, no, it’s something to do with a recent sporting event [ 1 ], some chap gets a gold medal so we get a gold phone box. Anyway it’ll soon be forgotten in the ongoing economic gloom. Still may as well photograph it before some ‘accident’ befalls it. Today the unemployment figures for Yorkshire showed a rise of 25,000 making 266,000 people out of work, a 10.3% rise in the last three months. The Council have threatened to shed some 200 further jobs. 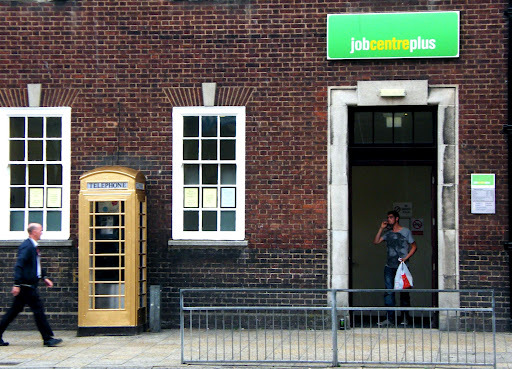 Here on the Market Place the Jobcentre was as busy as usual. I just love the irony of this image. 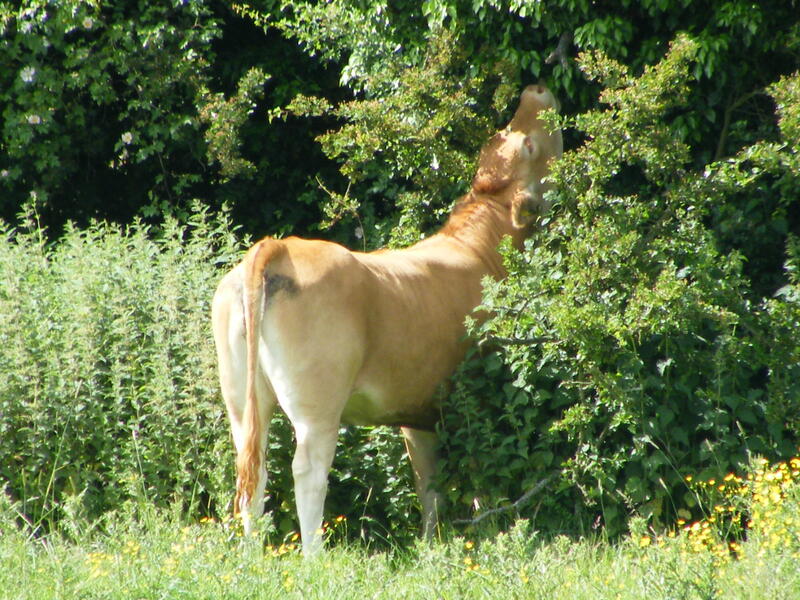 In an effort to make the most out the environment Yorkshire cattle are now being taught to climb trees and eat the juicy bits at the top.